Several years ago, I picked up Horse People in the bargain book bin at a local farm supply store. It’s an oversized paperback made up of essays, poems, and art, celebrating the authors’ and artists’ relationships with horses. The book has been gathering dust on the shelf, as I have focused my reading on more practical and academic works. However, I decided to take a break from those pursuits to enjoy reading of a different sort – and am I glad that I did! Just today I read these passages from an essay by Jane Hirshfield entitled “Horses cross, Donkeys cross”. It touched me, and I had to share (I borrowed another phrase from the author for this post’s title). Enjoy! Be good to your horses, and may you share some mutual joy! 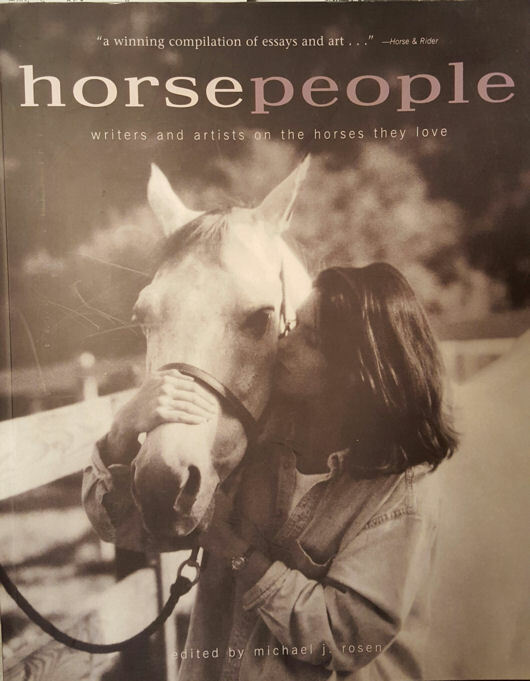 This entry was posted in Just For Fun and tagged communication, Horse People, Jane Hirshfield, making a connection, mutual joy, quote. Bookmark the permalink.